David Chuka - Children's Book AuthorAre You Ready for a Story? 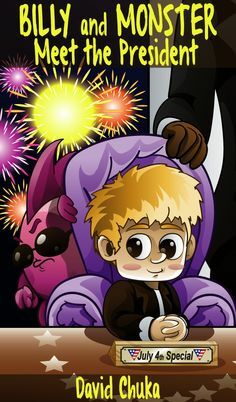 Billy and Monster: The Superhero with Fart Powers is free to download to your kindle or kindle app. This is the second book in the series ‘The Fartastic Adventures of Billy and Monster.’ In this episode, Billy and Monster discover they have superhero powers and use it in a battle with a very evil guy. If you laughed a lot at the first book in the series – Billy and the Monster who Loved to Fart, then you’ll love this one. Can I ask a big favor of you? Please share on twitter, facebook, G+ and any other social network. Ask your friends, family and colleagues to get it for their loved ones. Thanks for your support and do have a lovely day. ← Book Launch – Billy and Monster: The Superhero with Fart Powers is LIVE! Thanks Janet. Your support is much appreciated. You can inform your grandson that Billy and Monster will soon be having an adventure with Easter Eggs. The 3rd book in the series should be released sometime next week. 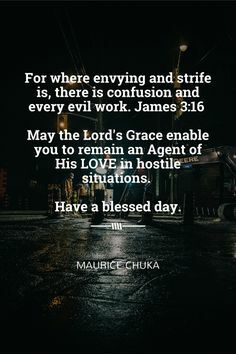 For where envying and strife is, there is confusion and every evil work. James 3:16 May the Lord's Grace enable you to remain an Agent of His LOVE in hostile situations. Have a blessed day. 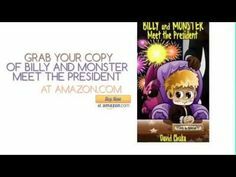 Billy and Monster Meet the President ebook is LIVE!